A grant from the ESRC-funded Scottish Doctoral Training Centre in partnership with Skills Development Scotland has been awarded for a PhD Studentship at Robert Owen Centre. Applications are invited for a period of either three years (+3) for those with an ESRC recognised training qualification or four years (1+3) for those without. The successful candidate will be part of the Horizon 2020 project YOUNG_ADULLLT – Policies Supporting Young People in their Life Course. 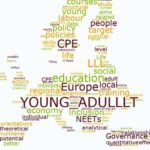 A Comparative Perspective of Lifelong Learning and Inclusion in Education and Work in Europe (www.young-adulllt.eu), which is a European funded project run by a consortium of 12 universities from 9 countries. The PhD student will join the Glasgow team and participate in their research on lifelong learning (LLL) policies and their effects on young people in Scotland (http://young-adulllt-scotland.org/). The specific objective of the PhD will be to elucidate how LLL policies support young adults in their life courses by investigating who are the key influencers and how they manage to influence young adult decisions, and what are the intended and unintended effects of this influence on their learning and career choices. The student will be supervised by Oscar Valiente (lead supervisor) and Oscar Odena. The award includes payment of UK/EU fees (£4,195 annually, 2017-18) and, in the case of UK students, a maintenance grant (£14,553 annually, 2017-18) and a training grant (£750 annually). Information on how to apply, with a 05/05/2017 deadline, is available at the College of Social Sciences Graduate School webpage.